Ghent’s streets, rivers and parks truly come alive during the Belgian summer. Because the winters can be long (oh so long! ), it’s even more important to make the most of every day of sunshine we’re treated to. 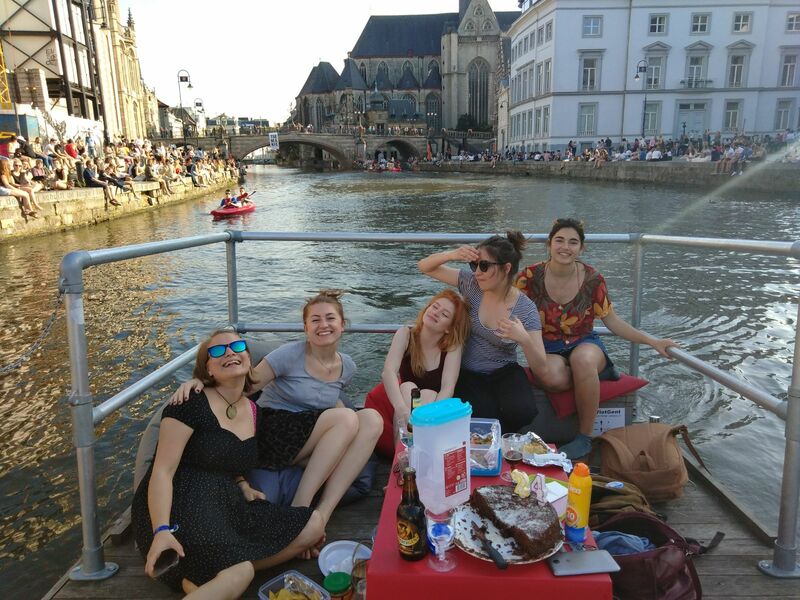 Here’s our guide to some of the best places to spend the summer in Ghent, from just hanging out to enjoying the water and settling up a sizzling BBQ. For more ideas on places to have a drink in the sunshine, check out our guide to the best terraces bars in Ghent. There is a little urban beach oasis in the industrial area near Dampoort open every summer. Dok also hosts a rommelmarkt (garage sale) where you can either find gems others don’t want, or sell your own stuff. More info in Dutch here. No dedicated parking available, best to come by public transport or by bike. Just to the north of Dok, near the Houtdok, is the summertime Bar Bricolage (check the Facebook page for the exact dates). This is a project by TOTUM, a Ghent cult organisation, where you can sip cocktails in hammocks, grab a bite to eat or play games like petanque or Kubbs. The Blaarmeersen is a favourite place for Gentenaars to enjoy hot days at its lake and sandy beach. Swimming, kayaking, pedal boats, surfing, fishing and diving are all possible at Blaarmeersen. There’s also a water playground for children with a water slide for all ages, as well as a beach café and playground for children. The area is nice for walking too. Car parking (3.50€ for the day) is available, and there is a bus stop close by. If you’re feeling sporty you can also play beach volleyball here, or use the outdoor gym. There are also low and high parcours. See more in Dutch here. The city beach at the often named most beautiful spot in Gent. Enjoy the young vibe when people gather around the cobble stoned areas next to the water for a drink surrounded by medieval buildings. Bring your own beer, and watch the tourist boats pass by. This park located outside of Gent, in Mariakerke, is full of atmosphere and is a perfect spot for bringing friends and family to spend an evening. You can expect an open fire, tarot reading, various performances and live music. There is a small entrance fee (up to 5 euros) for adults (children up to 10 years get in for free) and you can buy food and drinks on site. Dogs on a leash are welcome too! Open everyday in August 2pm-midnight (check the website for this year’s exact opening/closing dates). There is no car park available so prepare to walk a bit to get to the location. The same applies if you come by bus. 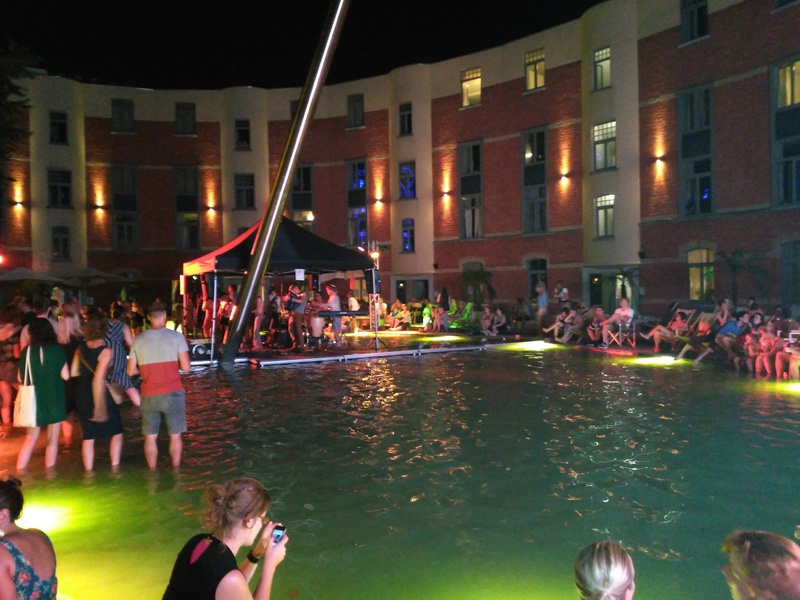 Near Zuid and the Kinepolis movie theatre you’ll find Zebrabeach, a place to hang out, have a drink, a snack and listen to music by a what seems like a non-swimmable pool. Sometimes there are concerts. Open every day during the summer (check the website for this year’s dates) when it is nice weather. There is street parking available, and bus stops nearby. Every day except rainy days the castle gardens of Slotendries in Oostakker are open to the public (check the website for this year’s dates). The entrance fee is 7€ but that gets you coupons to spend on food & drink (kids under 12 get in for free). Food stalls, bars, a sport zone, vintage car meetings, music and art for young and old is all on offer. There is a car park available and a bus stop is located just outside. The castle grounds of Slotendries turns into Gentse Zomer this summer. Hire a boat at the Coupure from Minerva Boat or Booot for a tour on the Ghent rivers. You can book a tour on a kayak, starting from Blaarmeersen and ending at the Korenlei, including a stop when you can enjoy a drink in the centre. Book 4 weeks in advance as these are quite popular. You also have the opportunity to rent a torch for evening kayaking. There are also a plethora of kayaking and rowing clubs around the Watersportbaan, and you can rent a kayak at Hostel Uppelink via Kajakskorenlei. See more here. Stand on a surfboard-like thing and paddle away, it’s great exercise! 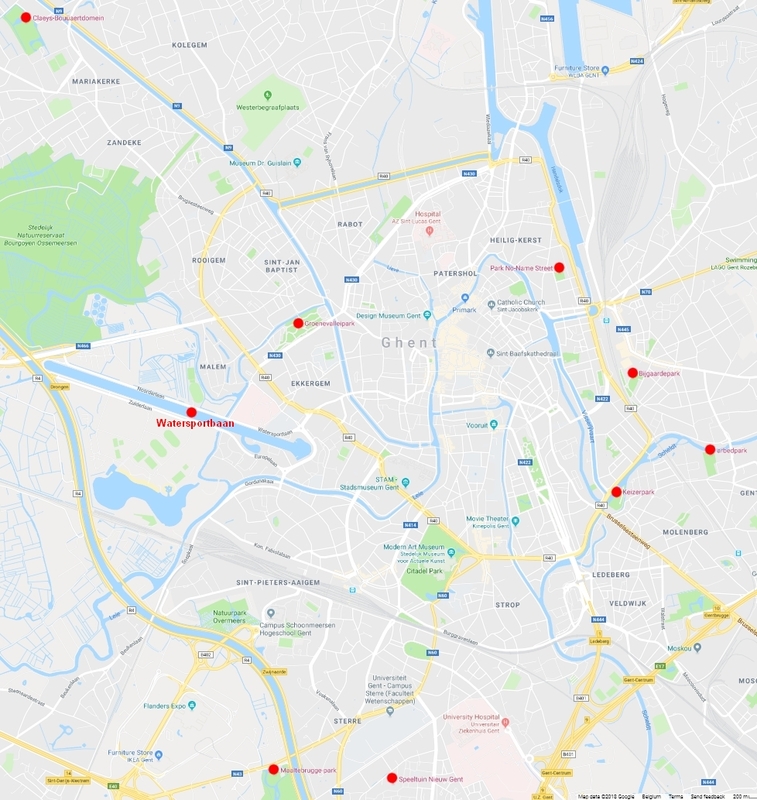 You can take a course via the city of Ghent in Blaarmeersen (limited space available) – see more here! 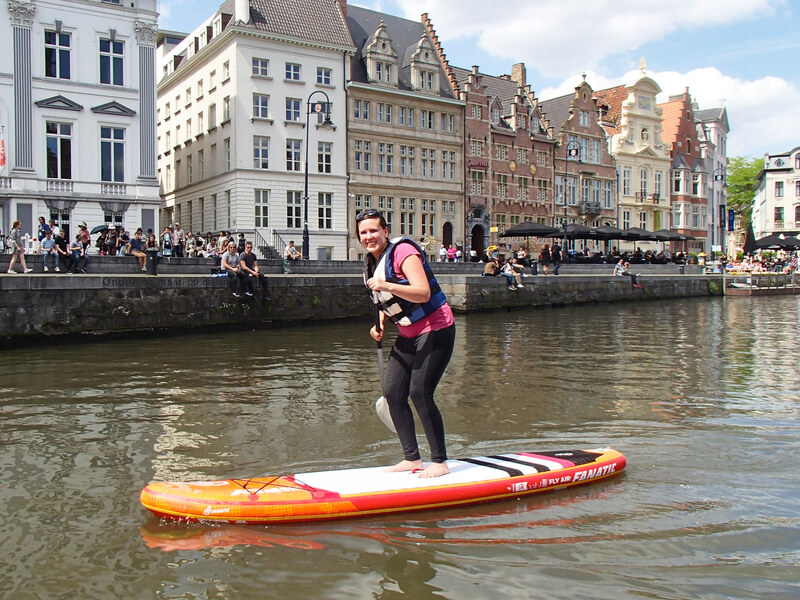 Or book a tour via Suptours: they offer a range of tour styles: urban, romantic, team building…and you can read more about stand up paddleboarding with them in our dedicated Stand Up Paddleboarding post. Biking: see tips for biking in our post here with suggestions for 3 scenic riverside routes here. 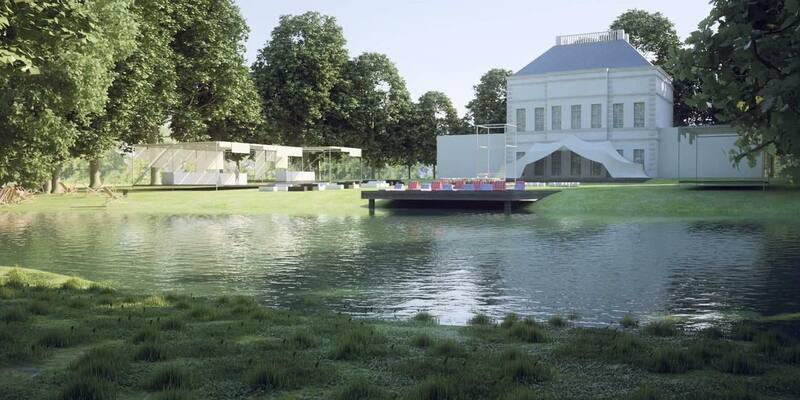 Swimming pools: find out about Ghent’s outdoor pools here. Sports courses: you can see what sport courses the city of Ghent offers: Tennis, BMX, running etc. here. The summer kitchen is the BBQ! 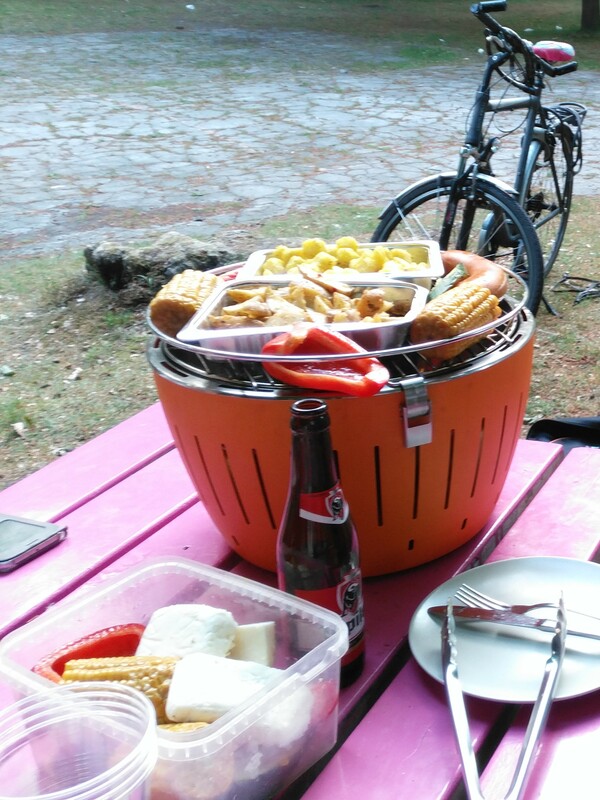 In Ghent there are a few parks with BBQs you can use for free from the 1st of April until the 1st of October – and some places where you are allowed to bring your own. There’s a full list below, but you can read more here (Dutch only). 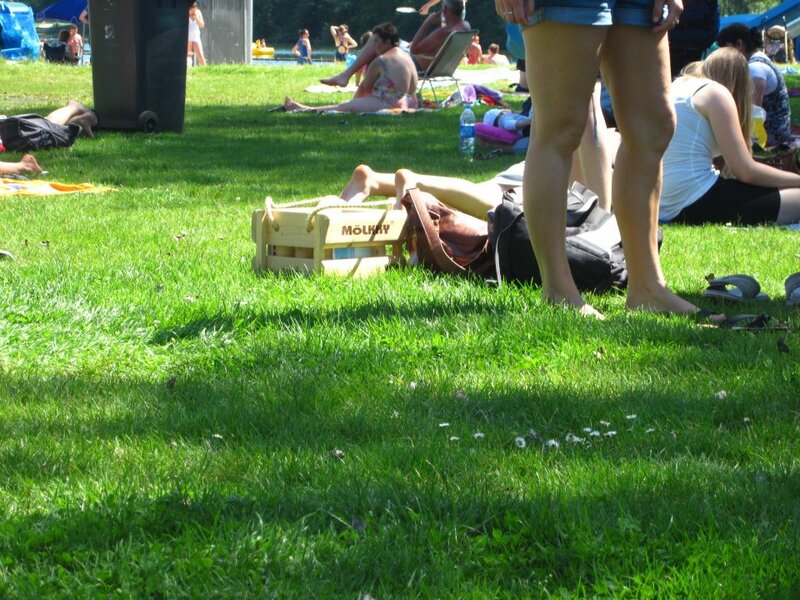 Use your own or the one in the park: Bijgaardepark (Sint Amandsberg), Arbedpark (Gentbrugge), Het Keizerpark (Ledeberg) – you might have to queue up for a bit. 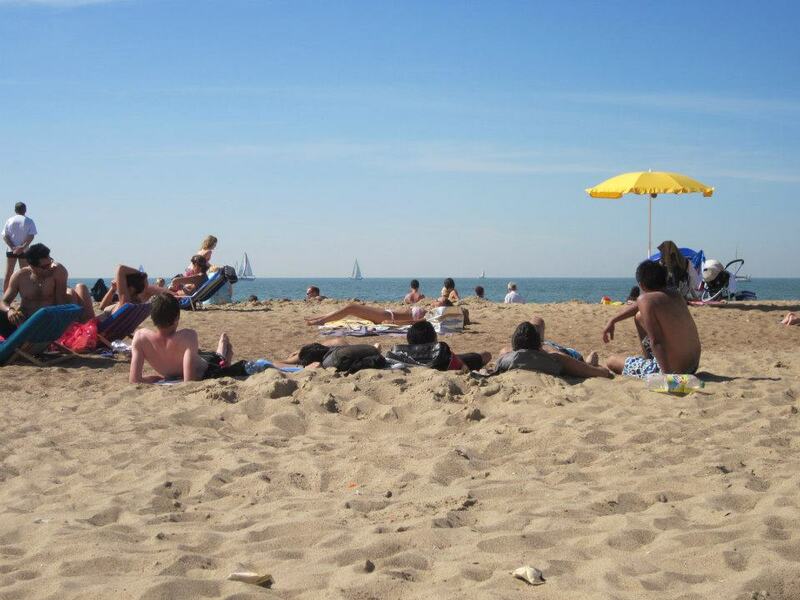 If you need real sea and beach you should visit the 60 km long Belgian coast, a popular pastime in the summer. It’s easy to do from Ghent: just hop on the train, go to Knokke-Heist, De Panne, Blankenberge or Oostende. These beaches can be quite crowded. A tip is to go further with the coastal tram (which happens to be longest coastal tram in the world!) and visit a smaller place, like De Haan, Nieuwpoort, or Middelkerke. Or rent a bike. If you’re going by car to the coast in good weather: expect long queues, expensive and scarce parking places far away from the beach. A very good guide in English for visiting the Belgian coast is this: http://www.belgiancoast.co.uk/en. It includes practical tips, suggestions for what to do, where to eat and sleep and a very extensive agenda on events and activities.